PEOPLE have asked me why I have been silent lately. 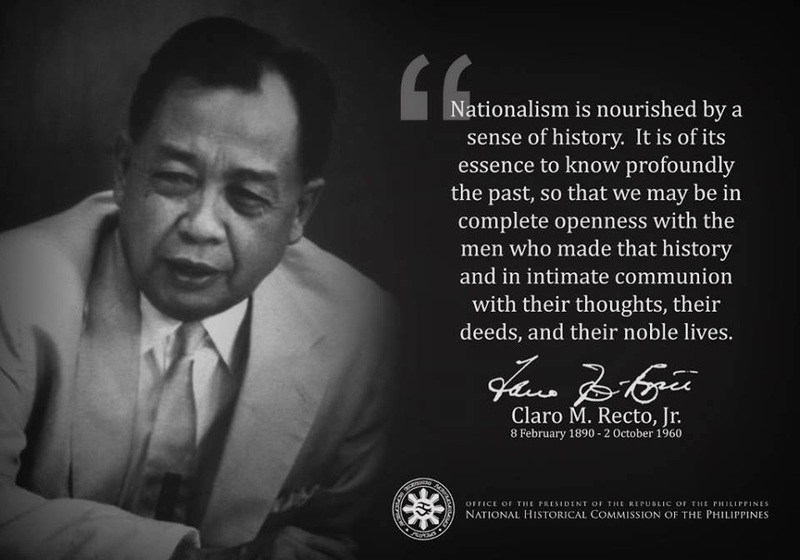 I, a person who has always been passionate about my country, who in the recent past published essays about "reclaiming our nation" and "fighting back." I, a signatory to the impeachment complaint against Gloria Arroyo and co-convener of many movements calling for her resignation, have suddenly gone silent. Had I lost heart? Have I, like so many people around me, simply given in to fatigue? Did I surrender to the helplessness that we as a people have learned, and continue to learn, because of the hopelessness of the situation we find ourselves in? Have I finally succumbed to the painful realization that despite the terrible state our country is in, there is no better alternative to the present leadership? Why so quiet? Words always prove empty when the heart is full. This holds true for a heart full of joy as well as for a heart in pain. So it is for me. So it is for many among us who suffer deeply for love of country and our people. But something happened a few nights back. I witnessed the sad sight of four young military officers on ANC, speaking like defeated warriors about the folly of idealism and about how it was wiser to simply accept the system and the status quo. I could not let that pass. I’ve said it before, I say again. Our revolutions of the past, from the myth of independence in 1898 to the fleeting glory of EDSA I and II, were all left unfinished. They lacked an essential revolution of heart, by the citizens in general but especially by those in power. EDSA I and II were particularly lamentable because those who assumed leadership of our country squandered opportunities for true greatness. Our unfinished revolutions … This is one reason why we continue to suffer through the vicious cycle of leadership after leadership that has looked upon political power as a means for self-enrichment rather than service for the greater good. This is one reason our citizens still accept abuse and corruption from elected public servants as a privilege of position. And this is also why, despite all the evidence against its wisdom or fairness, our government continues its almost unquestioning obsequiousness toward the dictates of foreign powers, even to the detriment of our own people. This vicious cycle has taken us on a downward spiral for so many years, it now seems we are close to rock bottom. And while our current deplorable state is a cumulative effect of a succession of failed presidencies, never have we seen so many of our institutions damaged in so short a time and with such impunity as we have seen in the last few months, particularly since the evidence of Gloria Arroyo’s cheating in the last elections became public. And even worse than the cheating is the systematic cover-up that followed as well as the tyrannical methods by which all constitutional and legal avenues for redress were blocked by those in power. I think I speak for millions when I say that we find ourselves in an unenviable predicament, like a battered woman trapped in an abusive marriage with nowhere to go, and no help in sight. We are told to just move on and go about our daily lives, try to ignore the abuse, but somehow it will not go away. Our hearts cannot lie, particularly when we have to grapple with the truth almost everywhere we turn. The truth stares us in the face when we look into the glassy eyes of the hungry, their number increasing everyday. Its stench is ever present in our dying health care system that cannot provide even the most basic services for our people because as much as 70 percent of funds for health are lost to corruption. It jolts us each time we drive through our decrepit roads and bridges where substandard materials coupled with obscene kickbacks have become the norm. It is written in blackboards in over-crowded classrooms where children are often too malnourished to absorb their lessons. It waves mockingly at us from the long lines of professionals waiting at foreign embassies for immigrant visas because they can no longer see a future for their children in this country. Truth is our uninvited guest when we find ourselves trapped in the web of corruption of BIR officials with whom we seem to have no choice but to cooperate for fear of harassment and intimidation. It is heard in the muffled voice of justice when young lawyers find, to their dismay, that their arguments no longer count as much as the bribes they can offer to the judges hearing their cases. And finally, the brazen truth of our country’s decay is there for all to see when men in uniform are punished instead of applauded when they choose to tell the truth and uphold their code of honor, simply because doing so will be detrimental to those in power. In the face of all this, what can we do? What should decent citizens, civilians and soldiers alike, do in the light of the fact that we live in a country, where deceit is now the name of the game, where corruption has permeated every nook and cranny of our lives, and our President has lost all moral ascendancy to lead much less demand integrity of all those answerable to her? Well, for starters, we can refuse to fall prey to the twisted truths being peddled by those who wish to maintain the status quo. Moving on within the same rotten system would be the easy road. But the easy road always leads downward, and we are too close to the bottom to risk going any further. Instead, we can strive to create a counter-culture to reverse this downward spiral, even if this entails much sacrifice. It may mean demanding receipts for full payments from the tax man even if this will mean paying more or even being harassed. It means having the courage to say "no" to superiors when integrity and honor demand it, and listening to one’s conscience even if following it might mean taking a leap of faith that may cost one dearly. It may mean being laughed at, ostracized, and even punished by those in authority as almost all counter-culturists throughout history have been. Finally it will have to mean an unwavering commitment to the truth so that a genuine and collective transformation of heart might be achieved, and so that the alternative leaders who can inspire us towards real progress may finally emerge and flourish. Indeed, "in times of universal deceit, simply telling the truth becomes a revolutionary act."